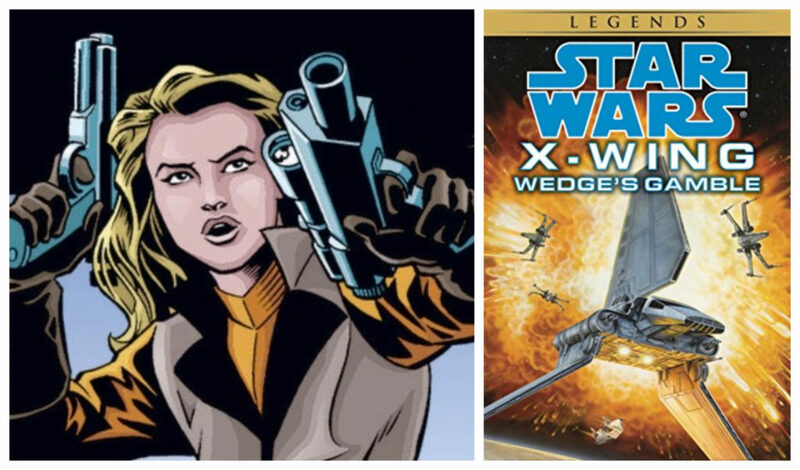 Iella Wessiri from the comic Star Wars: X-Wing Rogue Squadron: Family Ties and the cover of the book Iella debuted in X-Wing: Wedge’s Gamble. Iella Wessiri was a Corellian Security Force Agent and later a spy for the Rebel Alliance in several Legends books. Her character has so far only appeared in Legends materials but she married a well-known canon character, Wedge Antilles. Wessiri debuted in the novel X-Wing: Wedge’s Gamble. She appeared in several other X-Wing books as well as I, Jedi, Star Wars: Union, and books from The New Jedi Order and Legacy of the Force book series.